National Geographic viewers who own Sea Island real estate may want to take note. A trio of channel affiliated celebs will be participating in three special events on the island this summer. They are Bryan Smith, Jodi Cobb and Dr. Sylvia Earle. Smith is set to speak first in the middle of July and his learned cohorts are expected to follow with Sea Island speaking engagements of their own. Considered an amazing filmmaker, Smithâ€™s National Geographic Live! event is due to kick off the evening of July 17th with a special lecture and private dinner. On Saturday morning, he is scheduled to host a follow-up event for teenage audiences on the basics of breaking into the adventure filmmaking industry. Americaâ€™s favorite White House Press Photographers Award winner is anticipated to begin her two-day visit to Sea Island with a special dinner as well. However, her event is scheduled to take place on July 31st. The following morning sheâ€™ll host two events focusing on the secrets of her craft. The first is a photography seminar for adults and the second is an intimate portfolio review for aspiring, professional photographers. The first is a photography seminar for adults and the second is an intimate portfolio review for aspiring, professional photographers. Glamour Magazineâ€™s former Woman of the Year and accomplished oceanographer, Dr. Slyvia Earle, will be on hand in mid-August. Her special weekend is expected to begin on the 21st and include a lecture, dinner and morning discussion focusing on her latest works. Entry into all three events is by reservation only and does not include overnight accommodations. Our Sea Island real estate agents can help travelers secure private rentals for one or all of the weekends mentioned above, all within driving distance of the event venues. 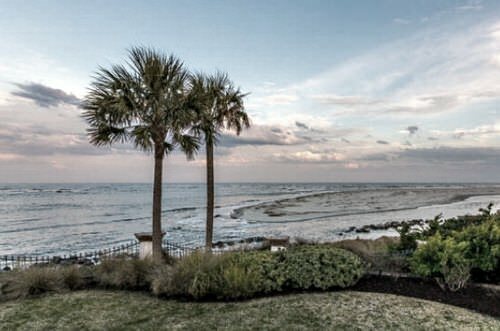 To learn more about staying on Sea Island this summer and which celebrities are expected to host special events, please contact DeLoach Sothebyâ€™s International Realty today.